Since Christmas is only a couple of days away (who else is excited? 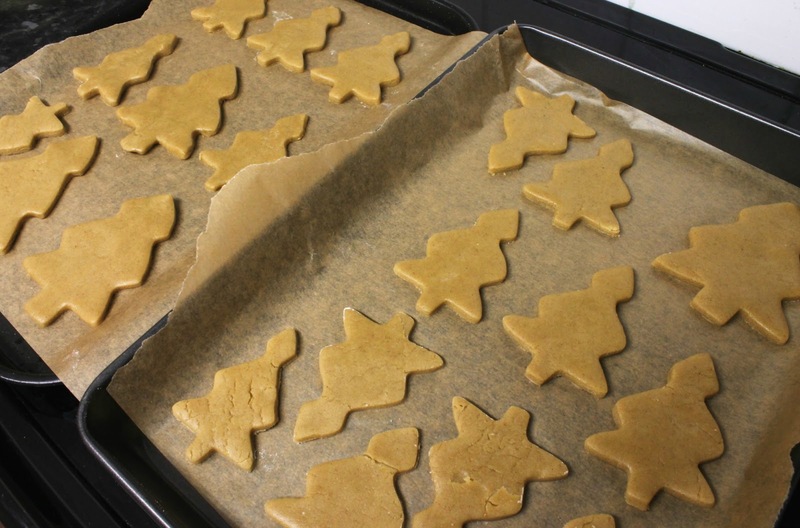 ), I decided to get festive in the kitchen and make some gingerbread. 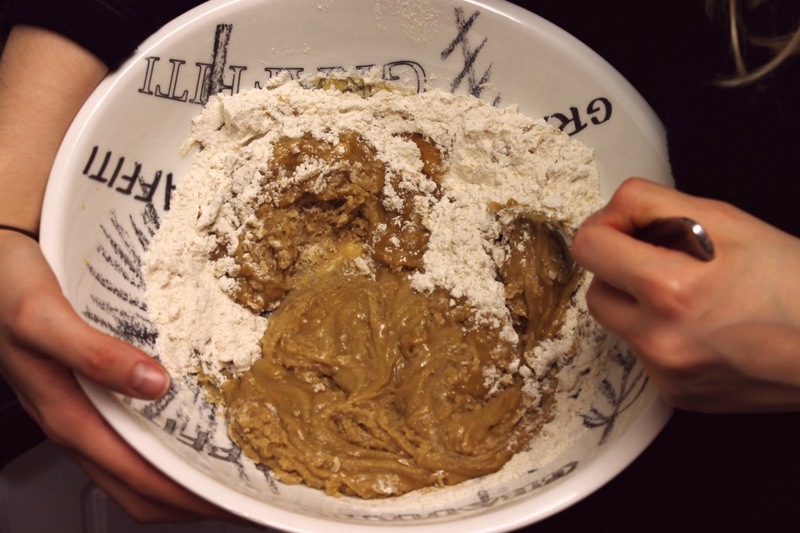 Usually I would make something free from dairy and gluten and replace refined sugar with more natural alternatives as that's often how my mum and I eat, but since I was baking for the boyfriend and his family I used a more traditional recipe, which you can find here. This recipe is so simple and easy, with no fancy ingredients or techniques, so if you suddenly find yourself needing to throw together a festive snack for a last-minute party or visitor, this would be perfect. 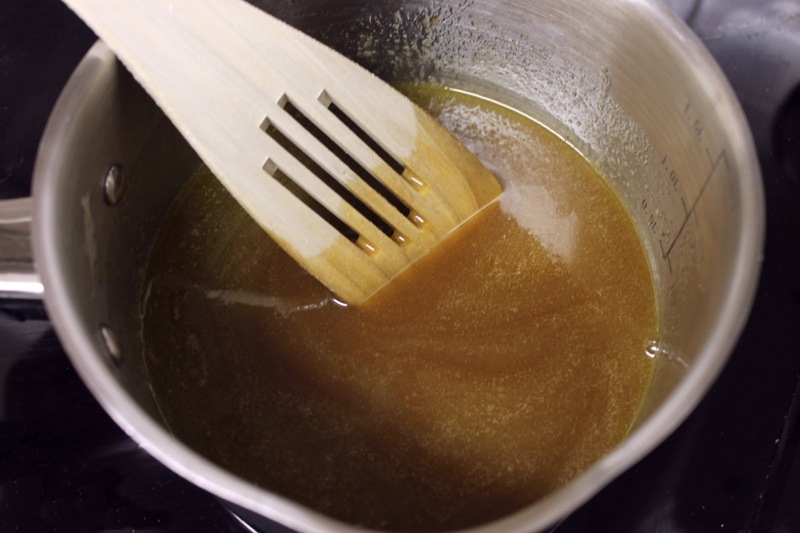 The first thing to do is gently melt the butter, sugar and golden syrup together until a smooth syrup forms, then remove from the heat (although I did keep mine on a very low heat whilst preparing the dry ingredients to prevent it from solidifying). 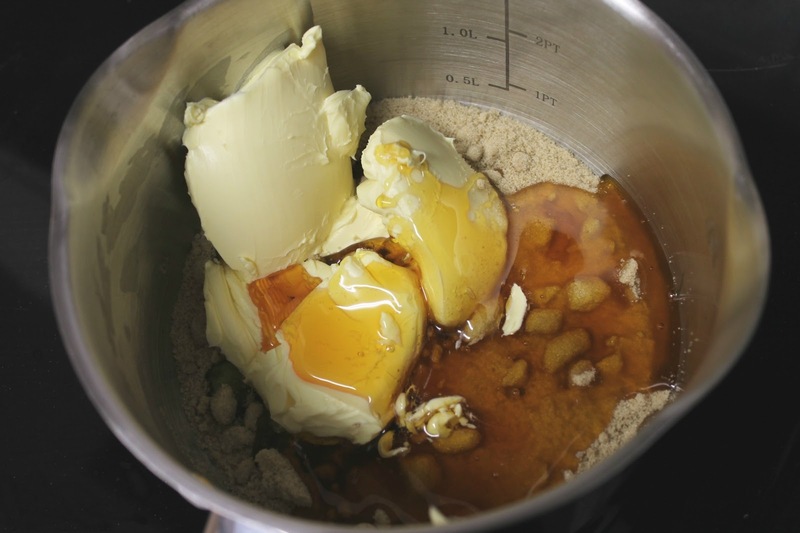 While the butter mixture cools, sift together the flour, bicarbonate of soda, cinnamon and nutmeg, then stir together until everything is combined. The recipe doesn't actually call for cinnamon but I didn't feel right making gingerbread without it, so I sprinkled in a good spoonful. 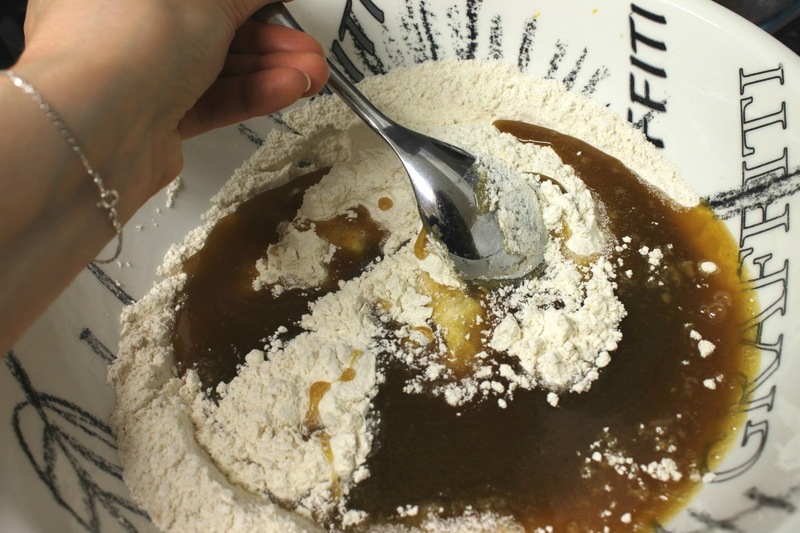 Once all of the dry ingredients are combined, pour in the butter mixture and stir it in until you are left with a 'stiff' dough. I thought the dough was a little dry so added an extra drizzle of golden syrup to loosen it up a little. If your dough is a little soft at this stage, try covering it with clingfilm and popping it into the fridge for between ten and thirty minutes to see if it firms up. 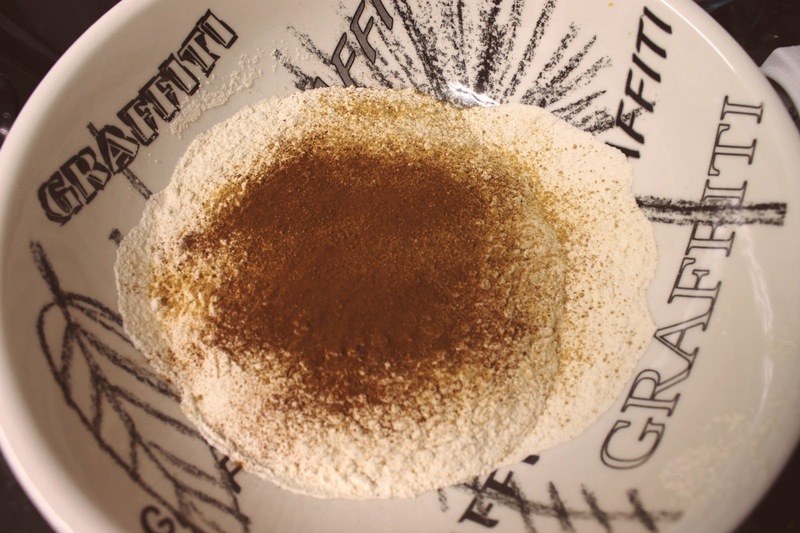 If not, add a little more flour until it reaches a rollable consistency. 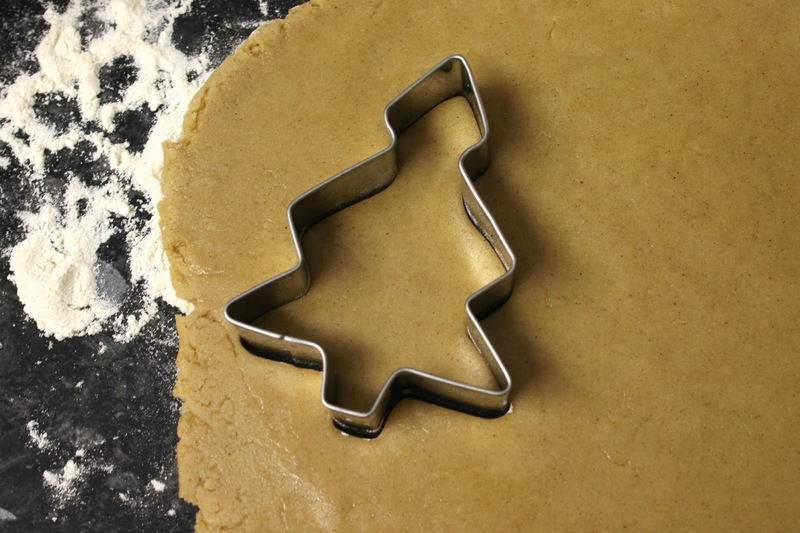 Once your dough is ready, you can roll it out and start cutting your shapes! I didn't have any gingerbread men cookie cutters, but I did have some Christmas trees, so I decided to use those, but you could use any shape you like - stars, circles, snowmen, whatever you've got to hand! You could even roll the dough into bitesize balls, although you may need to bake them a little longer. Once your shapes are all cut out, carefully place them on a tray lined with baking parchment and bake at 170°C or gas mark 3 for ten minutes, until they turn crisp and golden. Then, your gingerbread should be all done. Remove them from the oven and allow to rest on the tray until cool to the touch, then transfer them over to a cooling rack. Once cool, you can decorate your cookies any way you like, be it a light dusting of icing sugar, intricate designs in icing, a good coating of coloured icing or, as I did, no decoration at all. 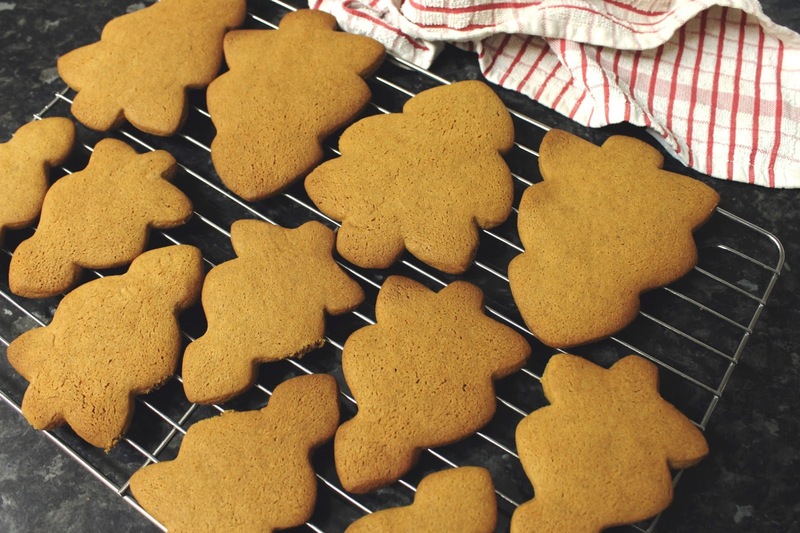 These cookies turned out crisp on the outside and chewy in the middle, with subtle warmth from the ginger and cinnamon, perfect with a cup of tea on a chilly December afternoon. 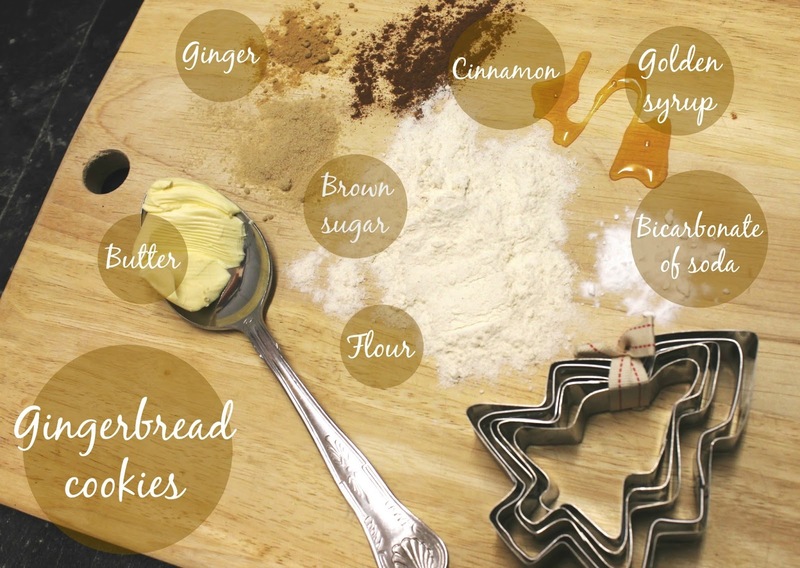 I hope you're all getting excited for Christmas, and if you decide to give this recipe a go, let me know!